Santos was born and raised in the Panama Canal Zone. After graduating, in 1994, from the University of Texas–Pan American, he served as a Logistics Officer in the US Marine Corps until 1999. 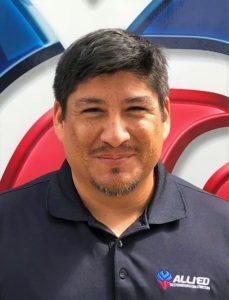 Following the Marine Corps, he worked in the rail and industrial development industry in South Texas for 18 years as a Terminal Operations Manager for Union Pacific Railroad and as the General Manager of La Salle Railway and Industrial Park.